Once upon a time, there were no dishwashers in the kitchen, except for the two-legged variety. Today, with the sinking economy, and the push for minimalist or green living, many homeowners are choosing not to install or to replace the dishwasher that sat in that space near the sink. If you are one of those people, there are other uses for the dishwasher space. Give the walls and floors of the space a more finished appearance with vinyl wall panels and a durable flooring material. If needed, add a curtain or door to hide the contents of the space. 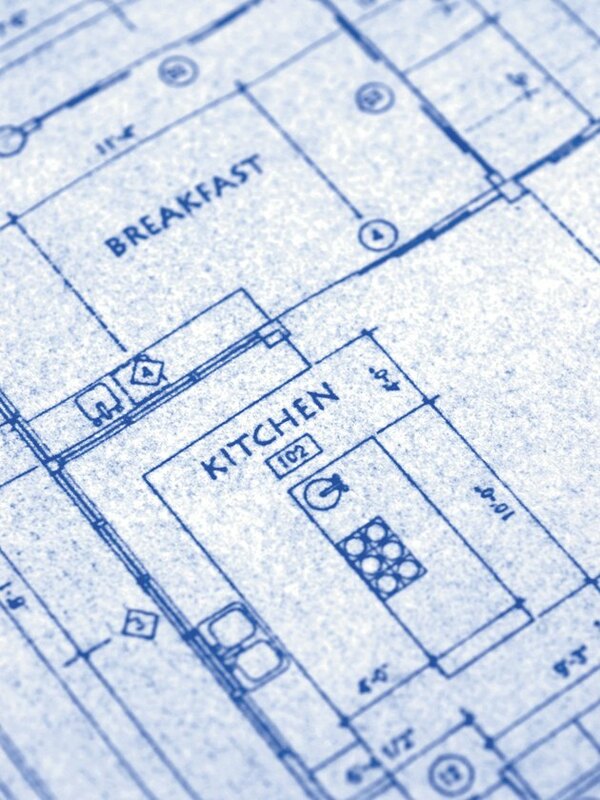 Modern kitchen blueprints always show a place for a dishwasher. Several wine storage options will fit nicely in the dishwasher space. If you love wine, but don't have enough bottles for a wine cellar, consider installing a wine chiller in the dishwasher space. 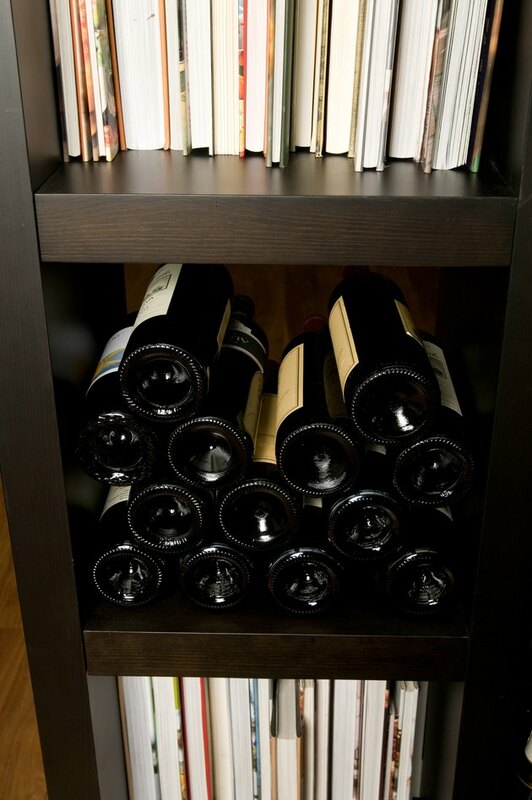 If that option is out of your budget, create a wine storage system with notched wooden racks. Christian Butzke, a professor of enology -- the study of wine and winemaking -- at Purdue University, recommends storing corked wine "upside down or sideways to minimize the gas exchange between the outside atmosphere and the wine inside to avoid accelerated oxidation." Recycling organizers can be purchased in many different styles. Recently constructed homes may have a special place in the kitchen for a recycling system, but older homes generally do not. 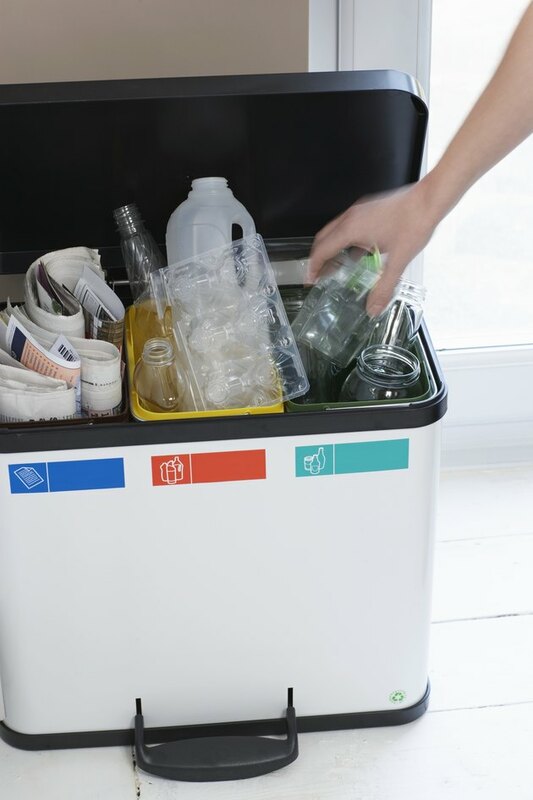 Whether you choose an organizer especially designed for recycling or a rolling cart with plastic bins for paper, cans and glass, most options will fit nicely in the dishwasher space. Slide-out shelving systems are a popular kitchen addition. There is never enough room for bulky pots and pans, or small appliances, in the kitchen. Increase that storage space by adding metal or plastic slide-out shelves. Decide ahead of time what to store there, and adjust the spacing between the shelves accordingly. 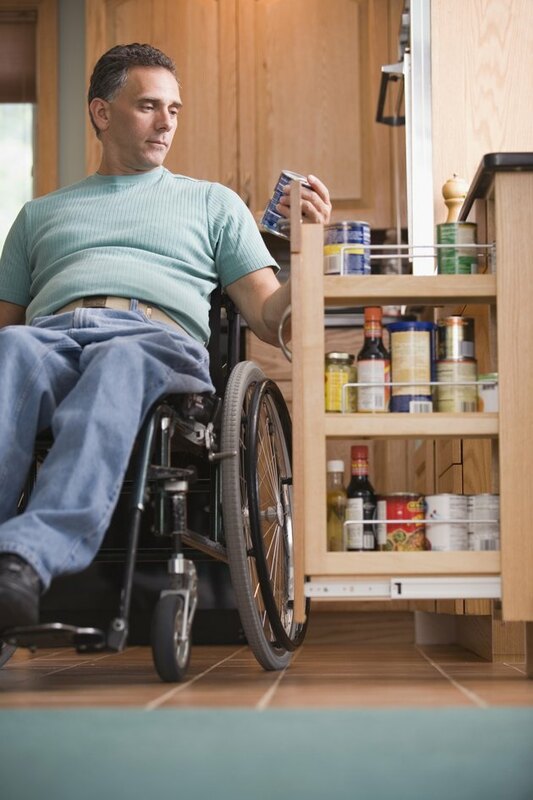 Lower storage shelves are a welcome addition for the handicapped. 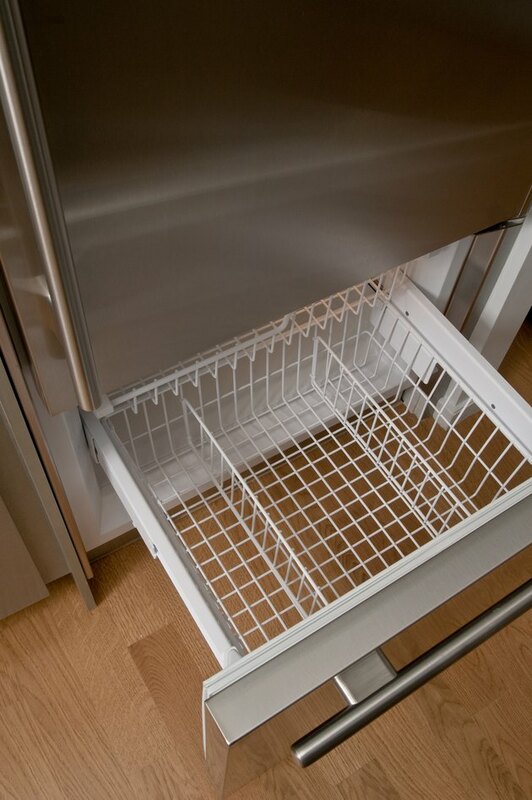 The dishwasher space can also be used for a hidden trash can, roll-out food or spice shelves, a place to store cookbooks and recipe boxes, a pet feeding station, a step stool or a utility cart. A Missouri native now living in Colorado, Kaylee Todd began writing for the Internet in 2005. Todd has an Associate of Arts in paralegal sciences from Arapahoe Community College in Littleton, Colorado. She specializes in corporate law and enjoys writing articles on legal topics and articles about meanings or definitions of words and phrases.